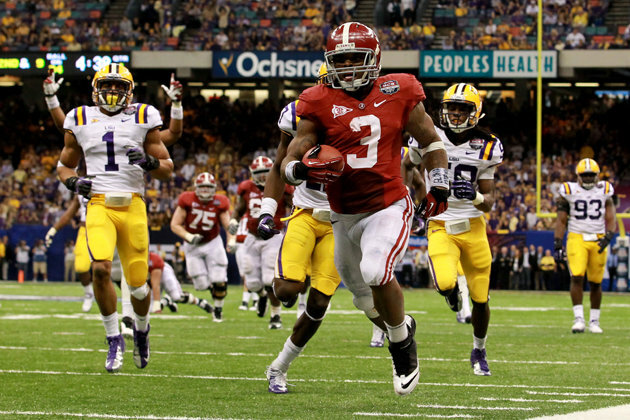 Alabama running back Trent Richardson is the guy, as the Cleveland Browns took him with the first of their two first-round picks in Thursday’s NFL Draft. In three years at Alabama, Richardson ran for 3,130 yards (fifth in school history) and 35 touchdowns on 540 carries. Last fall he rushed for 1,679 yards and 21 touchdowns on 283 carries. The Browns are now a better team than they were before the draft started (and they still haven’t made their second selection of the night). Right now, that is all that matters.